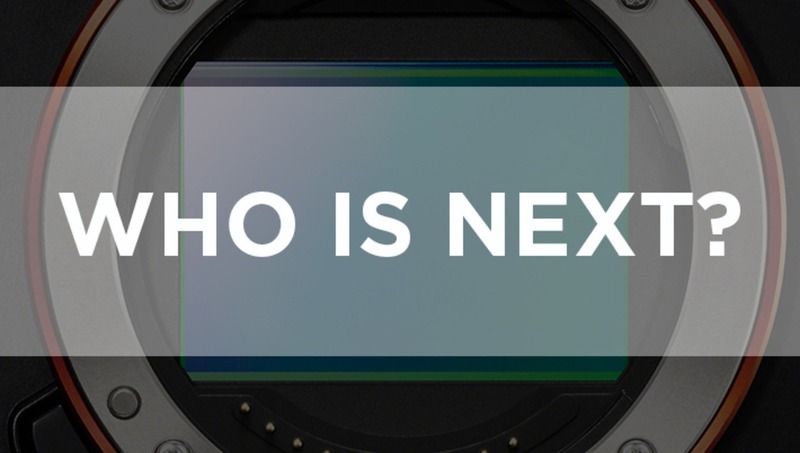 With Sony's New Full Frame on the Market, Who is Next? Sony's new Alpha 7R is flying off the shelves at B&H. From what I've gathered, they're selling pre-orders at a ridiculously rapid pace for a camera body that has not yet been reviewed. Based on that, and generally the hankering by photographers for more full frame bodies, it is only a matter of time before it's joined by other camera makers. I've spoken to manufactures from across this industry, and though they are all quite tight-lipped about what's coming down the pipe, some have given me coy responses when asked about producing full frame compacts. Something else to consider is that the lenses Sony released out of the gate are slow as all get out, which can be interpreted to mean that Sony either misread their market (doubt it, their attack strategy was pretty clear) or they rushed production to beat out a competitor that they felt was close to making a full frame compact first. Hasselblad has been buying Sony bodies and retrofitting them with gaudy grips and unnecessary leather accents in a somewhat predictable manner. If the A7R sells well, which it looks to, Hasselblad will buy the rights to the body around the time it becomes outdated. 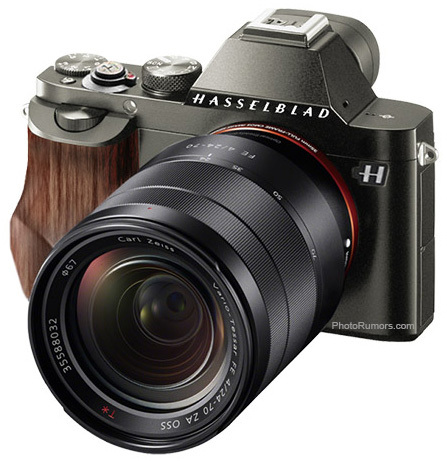 Expect to see Hasselblad, barring a change of heart that I'm desperately praying for, repeat on the A7R in about a year to a year and a half. The price is expected to be around $10,000. Samsung has been pushing hard into the camera division and do a considerable amount of listening. They know image quality is what the market wants and a full frame would deliver. This is the one company my gut is giving me the best feeling about. If you like Samsung, they will not be far behind Sony. If there has been one brand that was able to completely reestablish themselves in this industry, it's Fuji. Their compact cameras are beloved by many and they pour quite a few resources into making top quality stuff. With all the money they have riding on their compact division, it's safe to say they won't be caught without a Sony competitor for too long. UPDATED: Our estimation seems on point, as Fuji is reportedly working on a full frame fixed lens camera due out next year. Look, Nikon has a good thing going with the D800. It's clear that's their flagship camera and they are satisfied with that. They aren't putting the resources into image quality in smaller cameras, rather focusing on consumer features. They'll have to witness viability from other companies before taking the leap to full frame compact. 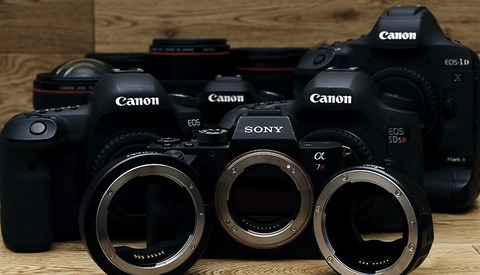 With the unpleasant situation involving the launch of the original EOS M and the anticipation of the second iteration any day now, it's pretty safe to say Canon is behind in this area. Sure, the autofocus was dramatically sped up in the EOS M firmware redo, but the problem isn't software, it's hardware. Their sensor simply doesn't have enough AF points on it to really compete with Samsung, Sony and Olympus. 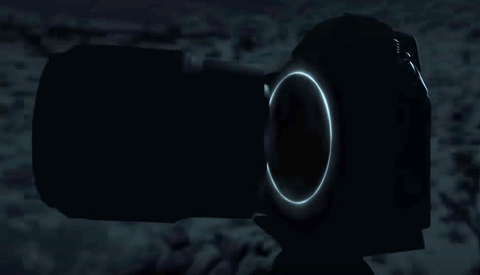 They're still testing where they fit in the compact space, and with the success and money they are putting into the 5D series and the new 70D, we can't see them producing a compact full frame for quite some time. Olympus has a good thing going with their micro 4/3 space. 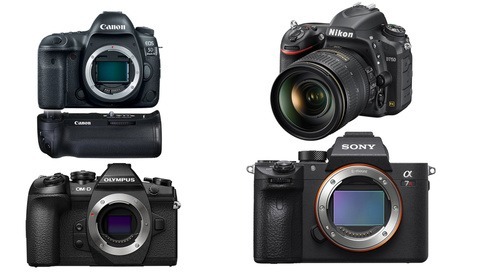 They finally got themselves together and produced a set of really nice, highly reviewed and great cameras. But that's only in micro 4/3. They haven't invested in anything larger than that in years, and they probably won't for the foreseeable future. It's not their market, and with their recent history of company disasters, we are confident they'll want to stick to what they know for a while. What are your thoughts? Who did we miss? Who would you like to see a compact full frame from? Let us know in the comments below. You can probably add Panasonic to the "probably never" group for similar reasons to Olympus. I think one of the most interesting things about this camera, is that you could add a future speedbooster adapter and mount medium format lenses - to get medium format DOF in a much more portable and cheaper camera. I doubt a focal reducer would be of much use going from medium format to 35mm. Most normal focal length 80mm medium format aren't all that fast at 2.8 and the faster ones around 1.8 (excluding specialty ones that are faster...). So the equivalent lens would be something like 50mm f/1.8 to f/1. Also it would be super expensive and bulky. FF to APS-C focal reducer seems to be worth it, but I doubt MF to FF would be all that useful. I guess what's great about the Sony is that you could put the Voigtlander Nokton 50mm f/1.1 lens. It's made for Leica cameras so it should fit nicely on the Sony a7 cameras. It's compact and 1000$. Anyhow, I'm glad to see Sony pull this off. I'm guessing they're only releasing really expensive lenses at this time as they know people will buy this camera to shoot non Sony lenses, so there needs to be a good reason to go with the Sony stuff (I'm guessing those primes are stellar). There's a difference between the DOF of a FF camera and a MF camera. There's no need to speculate - it's a fact. I'm not arguing that there's a difference in DoF if say you use a standard 80mm f/1.8 lens on 6x4.5cm medium format compared to a standard 50mm f/1.8 on 35mm full frame. Sure you'll get a much smaller DoF with the medium format at equal aperture. To get the same depth of field on full frame, you'd need a f/1.2 lens. Which is precisely my point, there aren't many medium format lenses that are faster than f/1.8 however, there's quite a few full frame lenses that are f/1.2 (with f/1.4 being not that far behind and opening up lots more affordable choices). "I think one of the most interesting things about this camera, is that you could add a future speedbooster adapter and mount medium format lenses..."
Stop being such a negative nancy. I've got my hopes that Fuji will eventually dominate the camera market and beat the ever living snot out of Canikony. Still pretty miffed about the D600. Nikon could have had a home run! and what is it your dream at night? Somebody didn't do his homework looks like. Same time you decided to write this article after the sony announcement, reviewers already published their articles. Brian Smith's review and his field test is extensive and well written. The camera store TV's hands on preview with test shots and many other image samples are already out. We saw that all and preordered the A7. This has been a highly anticipated camera with many of us already knew what to expect. its not a surprise and people know what they are buying. 5 lenses being available in the first 3 months then 10 more lenses on the road map is not bad at all. And these are only native lenses made for A7. You can use all the A mount lenses with sony's own adapter, using the apsc e mount lenses in both crop and full frame sensor, and finally all the existing Leica m lenses, canon's ef, Nikon's with cheap adapters... I can not finish counting. This system is so rich on lenses. So no complaints. Somebody should've done his homework before putting opinions writing this article. I don't think knowing the Sony roadmap for full-frame E-mount dramatically changes the point: that the initial offerings of native-mount glass are underwhelming. The initial kit lens has its place but isn't lustworthy. The 35mm f/2.8 is slow to a lot of people. And 55mm is on the undesirably long end of "normal" to a lot of people. And then there's the premium pricing. In line for high-end Zeiss, but still...$1000 for a 55mm f/1.8 is daunting. And the 10 additional lenses on the roadmap are merely promised to come at some point in the next two years. So it's not a foregone conclusion what will come, and when. Then again, these could sell with such great popularity that one sees really robust 3rd-party options designed specifically for the mount. And, as you say, there's a lot of flexibility with existing lenses. I hear you about the road map and the existing lens selection. And I agree with your points. Let's hope that these lenses will be real good zeiss lenses to deserve the ~1000$ price range. hell ist a fullframe..big deal. no mirror, a bit smaller.. wow. it´s not as if this camera helps you one bit to be a better photographer. go out and take pictures you clowns. With every advance in technology some dummy has to pipe up and spit out this generic response. Yeah, we get it. So, what, should the companies just stop advancing their technology? GOOD IDEA! Will this camera dramatically improve peoples ability to take a photo? No not really, but it's one small step in that direction. That's how innovation works. It would be helpful if you would be more explicit in describing what your timeline "expectation" is based upon. Something actually said by a manufacturer rep, or based upon your own conjecture, given your observation of the industry thus far. The latter isn't necessarily invalid, of course, but distinguishing between the two is important. Did reps "coyly" give the actual forecasts you put down as "expectation," or is "1 year" and etc. your personal interpretation of the gist of what they were saying? "Their sensor simply doesn’t have enough AF points on it to really compete with Samsung, Sony and Olympus. " Canon can use the same technology as he did for 70D and then he can have focusing point literally everywhere. And I think this give him a step ahead in front of the rest manufacturers. I have to say that this full-size image with the a7R really convinced me of the potential image quality. And this was with a pre-production camera, too! Look, Nikon has a good thing going with the D800. It’s clear that’s their flagship camera and they are satisfied with that. They aren’t putting the resources into image quality in smaller cameras, rather focusing on consumer features. They’ll have to witness viability from other companies before taking the leap to full frame compact. I agree on the timeline, not so much on the rest. First, the D4 is the flagship camera, and it gets the best features. Sure, the D800 has more MP, but the D4 is the top of the Nikon heap. I could see the D900 being mirrorless, with an f-mount. Why not use the D800E sensor in a smaller body, that takes the same lenses, adds new tech (wifi, smartphone control, etc. ), improves frame rates, etc. Sadly, I think Nikon will leave the high end cameras to last for the switch to mirrorless and we are more likely to see a D3500 or something like that as a mirrorless model. I think maybe the Nikon FM-d may be their mirrorless, and I sure would like that. A lot of people pan these cameras, but I'm digging them. Not that I'll buy a Sony, but now I can finally expect a Nikon. Ever shoot video with a DSLR in broad daylight? Can't wait for mirrorless for my Nikkors. I think it's about time someone stepped up to the plate, and I'm glad Sony did it. I doubt Canon will take 2 years to make a mirrorless. I bet by this time next year Canon, Nikon and who knows who else (Pentax?) will have their FX mirrorless in line. This is long overdue.